Health bosses have said that continuing Boston children’s services as they are is their preferred option despite concern over staffing levels and trainee doctors. Members of United Lincolnshire Hospitals Trust board today decided to keep the paediatrics ward at Pilgrim Hospital open beyond August 1, unless safety levels cannot be maintained. 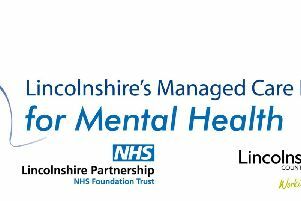 They will however also produce a contingency plan for the service, such as moving paedeatrics and midwifery to Lincoln County Hospital by September 1 if needed. Concerns were also raised by Health Education East Midlands, which said it is considering withdrawing trainee doctors from the ward. Chief Executive Jan Sobieraj said that he had made his concerns known to the education authority and that he would monitor future levels of junior staff. He added that the trust will work with the authority on the issue. Further meetings are expected to be held between the trust and Health Education East Midlands on the matter. The children’s ward at the hospital came under review by the trust due to severe staff shortages. A number of options were proposed for the service, including temporarily closing the inpatient unit on the ward. But Dr Neill Hepburn, medical director at ULHT, said that maintaining the service is the trust’s preferred option. “Our main effort has been to do everything that we can to keep the service going over the last few weeks,” he said. “We are only at an early stage at looking at a contingency, the contingency is a much less attractive option for us and for the population. The trust will now devise a back-up plan for the service in case there is not enough staff to cover the rota on the ward as of August 1. Campaign group SOS Pilgrim recently held a public meeting where ULHT representatives said that the service had enough staff to continue through July. However, the group said that straight answers were needed on the future of the service when they spoke to reporters at the meeting on Friday, May 25. Campaigner Phillip Bosworth said that the signs were worrying for the service. “The prognosis is grim,” he said. He added that there is concern throughout Boston and the county about the service.